WhatsApp is the apple of the eye for most users out there. Before purchasing a smartphone or feature phone, I asked people asking, ‘Will WhatsApp run on this?’ The popularity of WhatsApp, the cross-platform messaging app, is clear from here. But it is 2018, and you can find numerous apps and services pretty similar to or is better than WhatsApp. But old is gold! 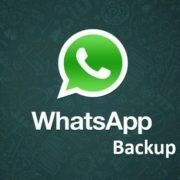 People hardly hug any other app as WhatsApp is not a name, but it seems to be a monopolized service. We don’t say, ‘Send a message to him on WhatsApp’, but we say, ‘WhatsApp him’. WhatsApp used to be paid after one year, a couple of years ago, but now, it is completely free. But if you are using a free product, you yourself are the product. Have an eye on the Cambridge Analytical data breach scandal. 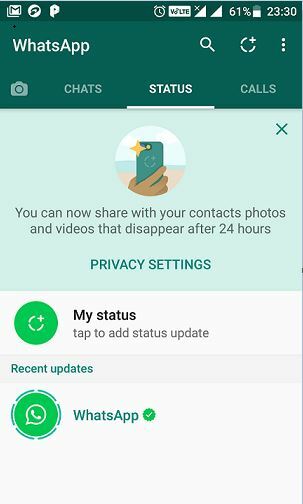 WhatsApp is owned by Facebook, as well. Thus, chances are there, WhatsApp knows a lot about us. Letting the street dogs lie, you might be looking for an open-source WhatsApp alternative, which can offer rich communication along with the option to send and receive multimedia messages. That being said, here I have brought the top 5 open source WhatsApp alternatives, which you should surely give a try. Not all the alternatives are as good as or same as WhatsApp, but if you are looking for a good communication platform, I am sure, the apps I will mention here is not going to disappoint you. Here are the top apps for those looking for a secure open source alternative to WhatsApp. Riot is one of the best open source cross-platform messaging apps, which you can use. Unlike WhatsApp, you can use Riot.im on Mac, Windows, Web, Linux, and a number of other popular browsers, breaking the limitation of availability only on Android, iOS, and Windows mobile. Riot.im offer a very beautiful and easy to use user interface, which is much better than the one WhatsApp web, or the WhatsApp mobile app offer. Apart from offering end-to-end encryption for sending the messages, Riot even supports group chat, which means it offers almost all the useful services you can actually get on WhatsApp. If you are looking for a Skype alternative more than an open source alternative for WhatsApp, I will recommend you to try Wire. Just like Riot.im, Wire also offers a very beautiful user interface and is supported on almost all the most popular platforms including the web. 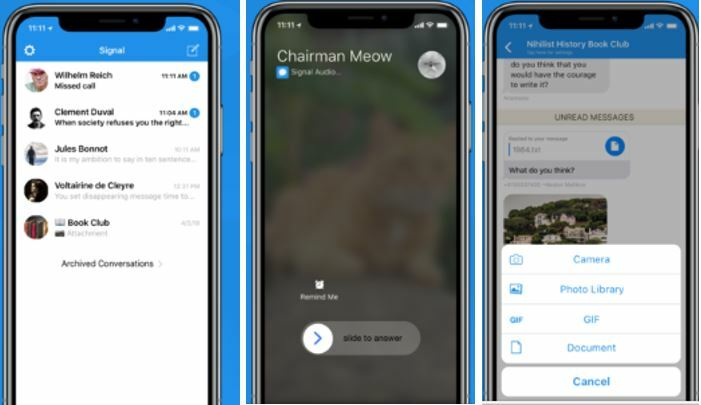 Apart from sending multimedia messages, Wire even supports encrypted video and audio calls to individuals, or in groups. Thus, in Wire vs. WhatsApp, Wire is a clear winner. Wire focusses a lot on security, and that is yet another big reason, you should try out Wire. 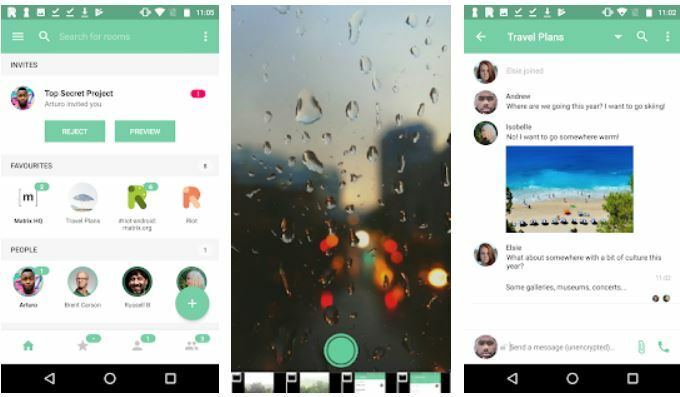 Wire offers a lot of functionalities of WhatsApp as well as Skype, making you get the best of both worlds. If you are looking for an open source alternative for WhatsApp, which offer a similar user interface like that of WhatsApp, Signal is the one, you should go for. Signal is offered by TextSecure and RedPhone, and it supports almost all the basic functionalities, which WhatsApp has to offer. Being open-source, there are possibilities, new features will also be available for Signal, in the coming days. Signal is supported on Mac, Windows, Linux, and Chrome apart from Android, iOS, and Windows phone. Signal has a whole lot of features, and the unique features include color coding of messages, support for self-destructing messages, Password protection, and many others. 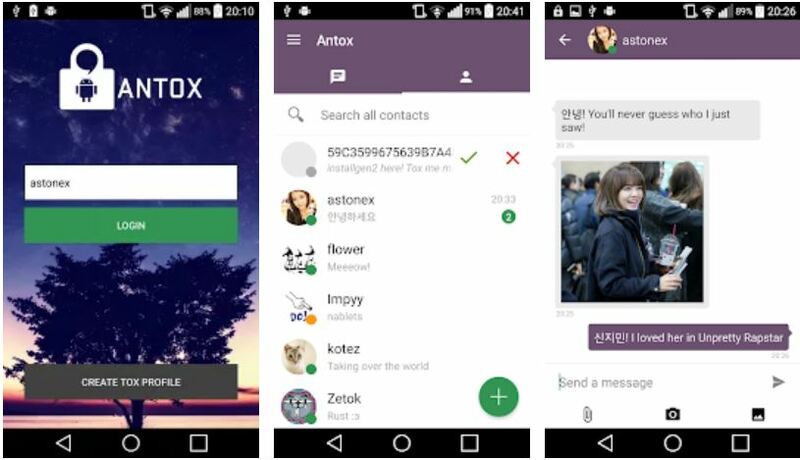 Tox is one of the best open source alternatives for WhatsApp, which respect your privacy. The unique feature about Tox is the availability of the anonymous messaging mode, which is not yet present in WhatsApp. Apart from sending messages anonymously, you can even send files with end-to-end encryption. Just like its counterpart WhatsApp, Tox even supports client-side encryption and is supported on a number of popular platforms. Being open-source, you can always expect a basket of new features in the coming days, and can even add your own feature, if you have some development skills. 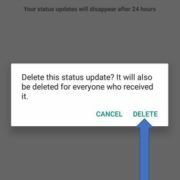 Ring is one of the best open source alternatives for WhatsApp which offer limited yet useful features. 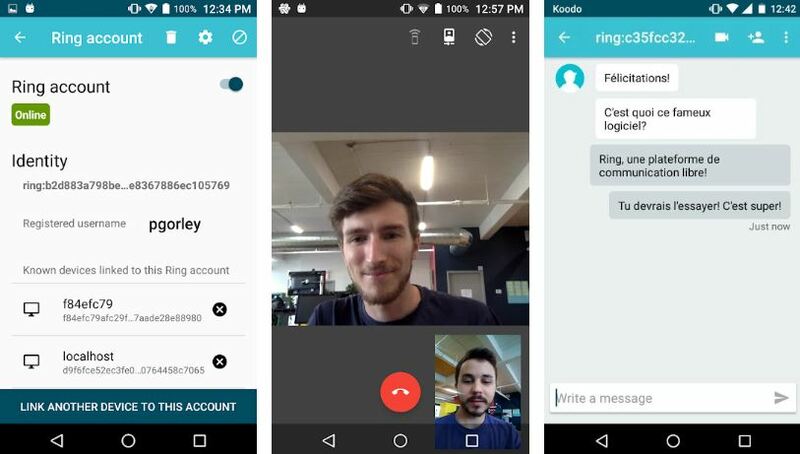 It has a decentralized open-source chat server and clients can get access to it with the help of the Ring client-side app. Being decentralized, Ring offers a great privacy management option and is supported on Mac, Windows, Android, and Linux. 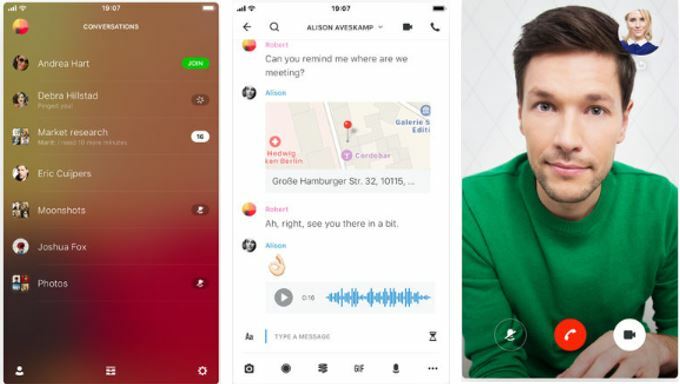 The peer-to-peer chat application is not only limited to sending messages, as you can even do video calling with end-to-end encryption, over Ring. Being open-source, there is always a room for further developments, in the app. I just tried to keep the list short. 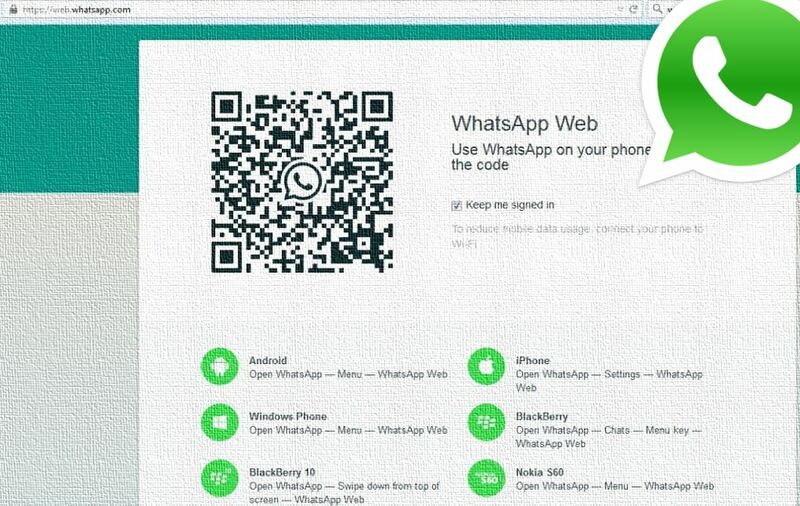 There are even a number of other open-source alternative apps for WhatsApp, but I’m not mentioning them here. A few other open-source WhatsApp alternatives are ChatSecure, Zulip, Silence.im, Conversations, Franz, and many more. The only requirement for chat apps is the adoption by most users on the planet. The key reason for the popularity of WhatsApp is it’s too big to expect user base. If more users start using the open-source apps mentioned here, they will surely become popular. So just share this article with your friends and family. Which one is your favorite among the top 5 open-source WhatsApp alternatives? Please let me know about it in the comment section down below.